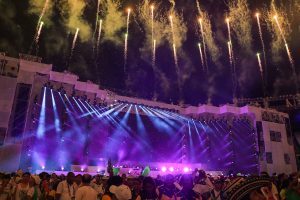 Nearly 200 Robe moving lights graced the spectacular lighting scheme devised for the Opening Ceremony of the 2018 Central Americana & Caribbean Games, staged in the Estadio Metropolitano Roberto Meléndez, in the key Colombian port city of Barranquilla. 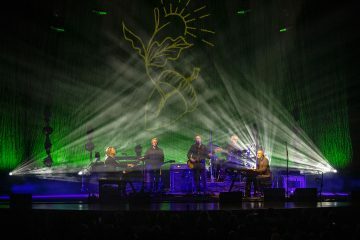 LD John J Orduña Sarmiento was part of a highly talented team involved in the show’s technical production, for which lighting equipment – including all the Robe fixtures – was supplied by leading Colombian rental company, Línea Estratégica based in Medellin. 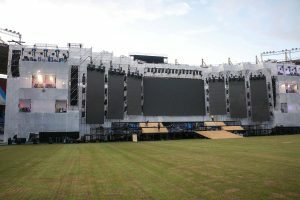 The vibrant and highly visual OC included stunning projection mapping onto the field-of-play with the images also appearing on a large video wall at the back of a large stage built at one end of the stadium. A cast of several hundred dancers thrilled the crowds along with several special collaborations and music performances by top artists embracing a lively mix of genres, all underlined by animated rhythms … delighting the 10,000 live audience and millions watching the live telecast from all over Latin America. 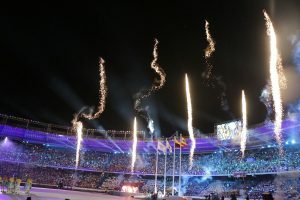 The Athletes Parade at the end of the OC featured around 5,500 participants from 37 delegations – competing for 3,220 medals – and the Games was officially declared open by Colombian President, Juan Manuel Santos. For John Orduña the challenges in lighting the show were making it big, bold and dazzling to meet everyone’s expectations. He also had to ensure that there was minimal lighting spillage onto the pitch that might interfere with the projections … whilst crafting dynamic lighting environments for all the various individual artists plus the show cast on the pitch. It had to look equally on TV as well as for everyone in the stadium. 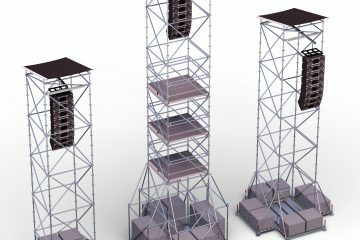 He specified 40 x Robe MegaPointes, 80 x Spiiders and 56 x BMFL WashBeams to assist in this ambitious task, and these became the core element of his show. All 40 MegaPointes and 38 of the Spiiders were deployed on the stage. Forty-two Spiiders were positioned all around the soccer pitch and used for low level washes and to pick out the cast / dancers, joined by 24 x BMFL WashBeams as this was an ideal position for providing precisely shuttered lighting on the performers whilst keeping light off the pitch. The other 36 x BMFL WashBeams were rigged around the stadium roof where they had great impact piercing the night sky and throwing high definition gobos and texturing down onto the pitch. John has used Robe products before but MegaPointe-wise, this high-profile event was a first for him! “I was absolutely really blown away by the MegaPointe – super impressed by its power, the zoom and the lovely bright colours. The versatility of the fixture is incredible – it really is equally good in quality and functionality as a spot, beam or wash fixture” he enthused. He’s used BMFL WashBeams on several previous shows including the 2017 Bolivarian Games in Santa Marta, Colombia, and the great results he achieved with them were why they appeared on the spec for this event! He loves this fixture for its intensity and potential. For this show, it was essential to have a very bright fixture with a framing system. With many lighting positions 80 – 100 ft away from the stage and the cast action in the centre of the field-of-play, they needed both serious lumens on one hand, and accuracy on the other. “Locating the BMFL WashBeams around the soccer field like this and having that controllability, we could easily achieve the all-important light levels needed for it to look great on TV” he confirmed. John adds that when he was confirmed as LD for the Games ceremonies, “there was only one option for a project like this … to use Robe” Already knowing the BMFL WashBeam already was reassuring, “I was confident I had the right basic tools to do the job”, he confirms, and now, having seen the potential of the MegaPointe in action … he will also be using these on future shows! 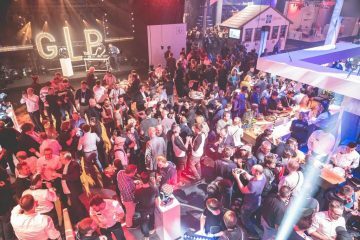 Talking about Robe generally, he says the company “understands” the needs of LDs in terms of luminaires for different scenarios – whether it’s a stadium show, a festival a TV studio production or a theatre. “I think Robe has concentrated on manufacturing some of the finest fixtures on the market today” he concluded. 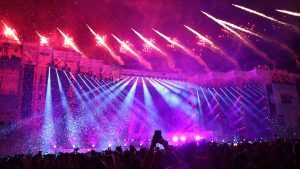 John worked alongside his lighting assistant Edwin Estepa on the Games Ceremonies. The OC’s technical director was Fernando Albanes and the stage director was Miguel Carrilo Foro both from Mexico. They together with production director Victor Ariza and video director Maurico “Tito” Caicedo, both from Colombia, are all part of technical show production specialists, Team Performa SAS.